Our aim is to sustain an example of wine making which is environmentally friendly and compatible with the surrounding area. The winery and vineyards have been developed in a way to cause as little impact on the environment as possible. 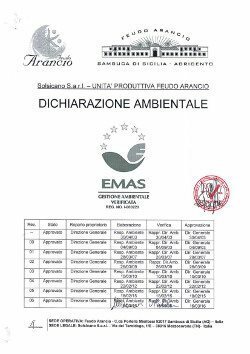 We were the first wine cellar in 2002 in Italy to be awarded the EMAS 2 - Eco-Management and Audit Scheme - a certification created by the European Community for environmental sustainability and management. 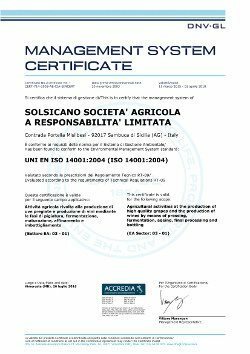 Thanks to continual improvements within the production cycle, the UNI-EN-ISO 14001 certificate, we have developed an environmentally friendly wine growing process, which looks after our land. We understand that our territory is indeed a gift. THE REDUCTION OF CHEMICAL TREATMENTS. 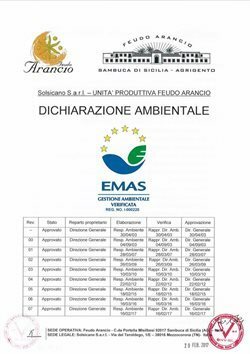 To reduce the use of chemicals as far as possible we have introduced alternative techniques such as the correct use of copper and sulphur (allowed in organic farming) and the use of beneficial insects in our vineyards including the method of "reproductive confusion". 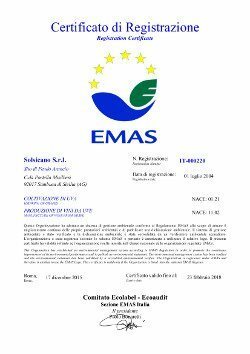 This is a biological method for combatting harmful insects by limiting reproduction through the use of pheromones ("reproductive scents" which prevent the harmful male insect from finding and fertilising the female). Meticulous and constant care of the plant ensures excellent ventilation and a phytosanitaryprotection for the bunches of grapes. The grassing over of the land has protected it from erosion and the planting of plants rich in nitrogen has reduced the need of fertilizers. We conserve the local flora: we have catalogued the species of orchids, some being extremely rare, which are now a protected species on our lands. As well as this, we have planted a lemon grove inside the tuff stone quarries of Feudo Arancio and thus requalified previously damaged land. We have installed solar panels for our hot water supply (used especially for cleaning wine cellar equipment) and photovoltaic panels for our electrical supply (400 kWp installed). In this way, our structure is two-thirds self sufficient. As well as this half of the wine cellar is underground to ensure a correct temperature in the rooms where the wine is kept, therefore reducing the need for air conditioning and electricity. 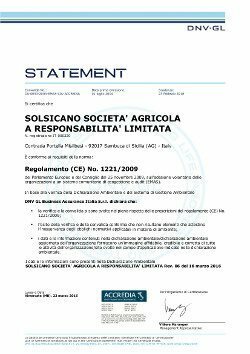 Water supply is precious in the hot lands of Sicily and for this reason Feudo Arancio has developed efficient ways of collecting and conserving water. There are seven artificial lakeson the estate (from which winter rainfalls are kept for use in summer)and they contain over 900,000 m3 of water, the equivalent of 300 litres for each individual vine plant (around 10 emergency uses of water supply during periods of drought without needing to draw from external water supplies). Computerised drip irrigationsystems maximise the efficiency of water supplies and guarantee that the water is used only where necessary. To conserve the water supply the waste water is channelled into and purified in an organic mud water purifier so that it can be put back into the reservoirs. All our packaging is separated and sent to be differentiated and recycled.